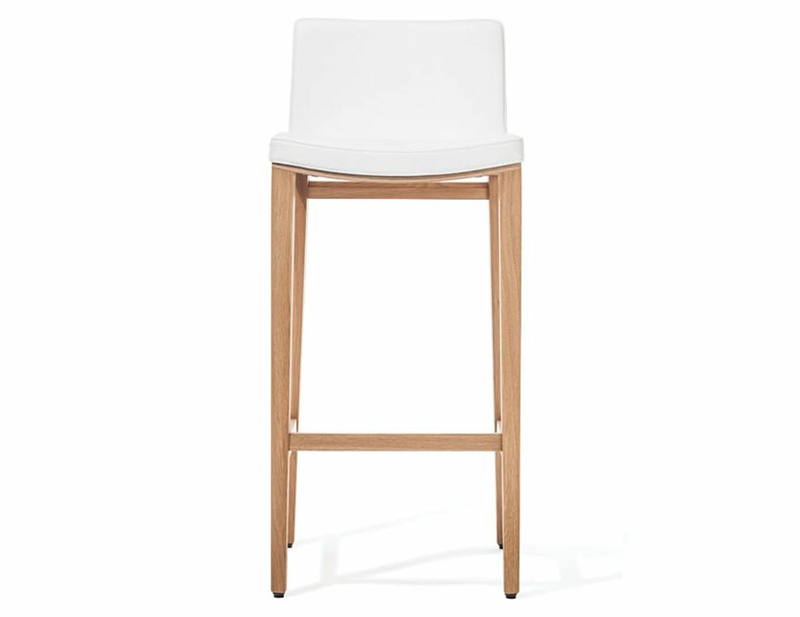 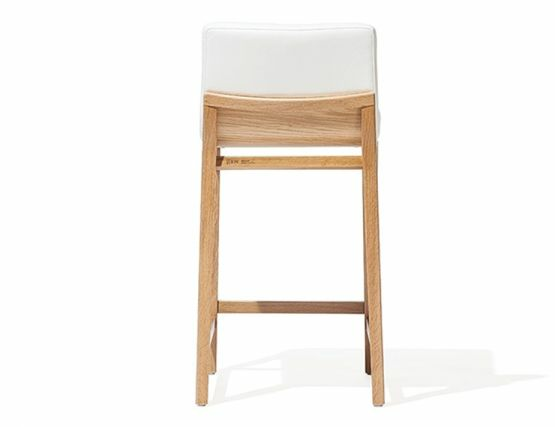 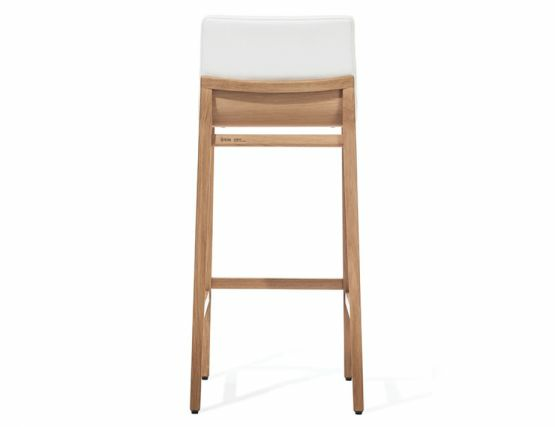 Beautiful on its own or in concert with the chairs from the same collection, the Moritz Oak upholstered bar stool from Kai Stania is the perfect accompaniment to your modern kitchen bar or counter dining area. 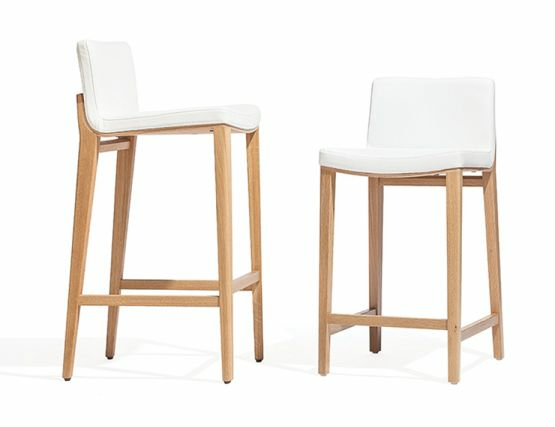 Kai Stania joins European furniture maker TON to create this simple yet refined modern dining collection. 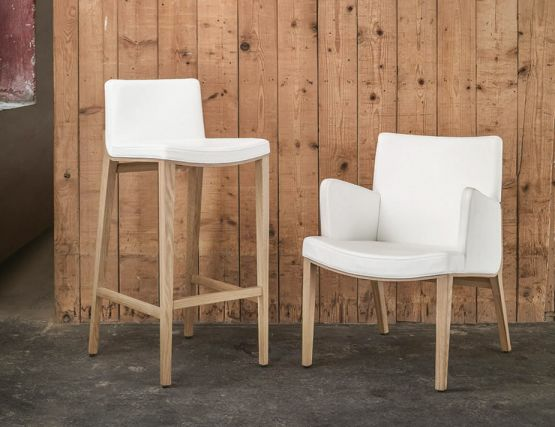 The Moritz collection consists of an armchair, a lounge style armchair and the chic bar stool offered here. A perfect pairing of natural oak and fine fabric or leather upholstery come together to really make each piece in the dining collection a stand out. 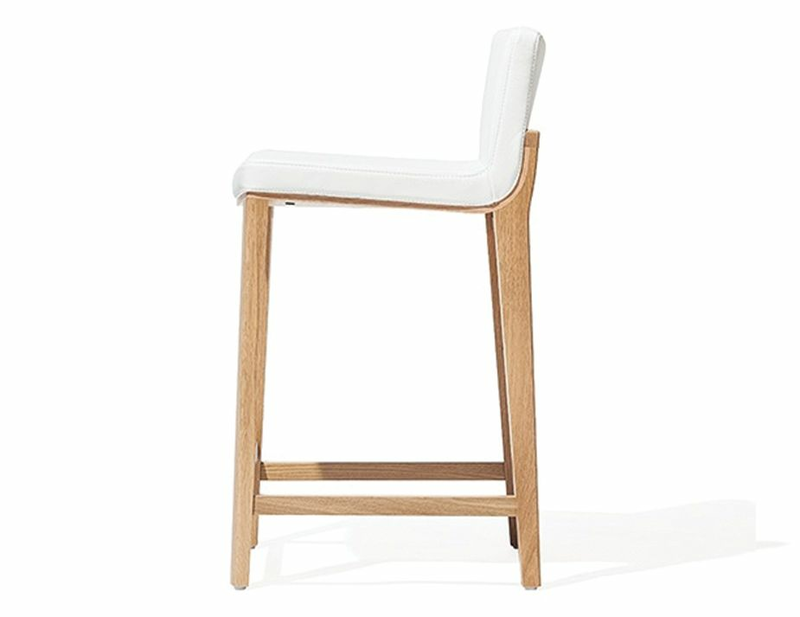 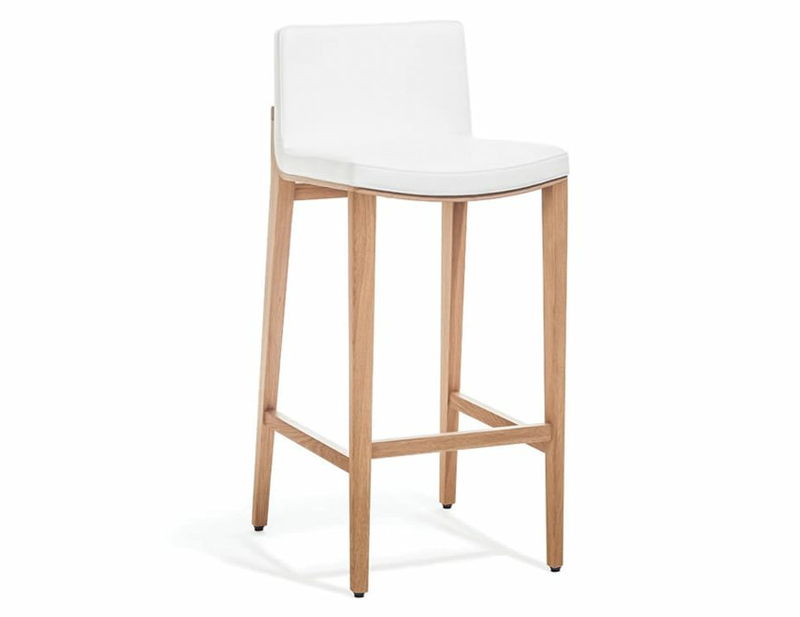 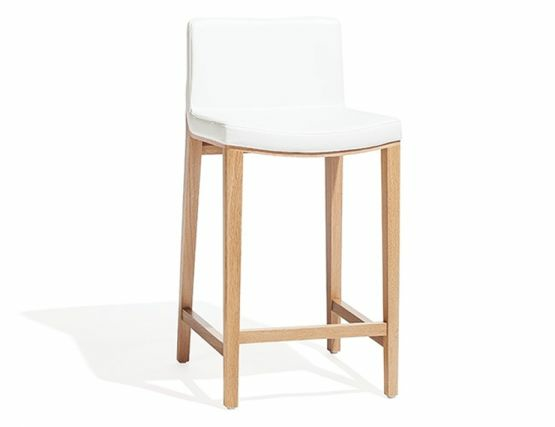 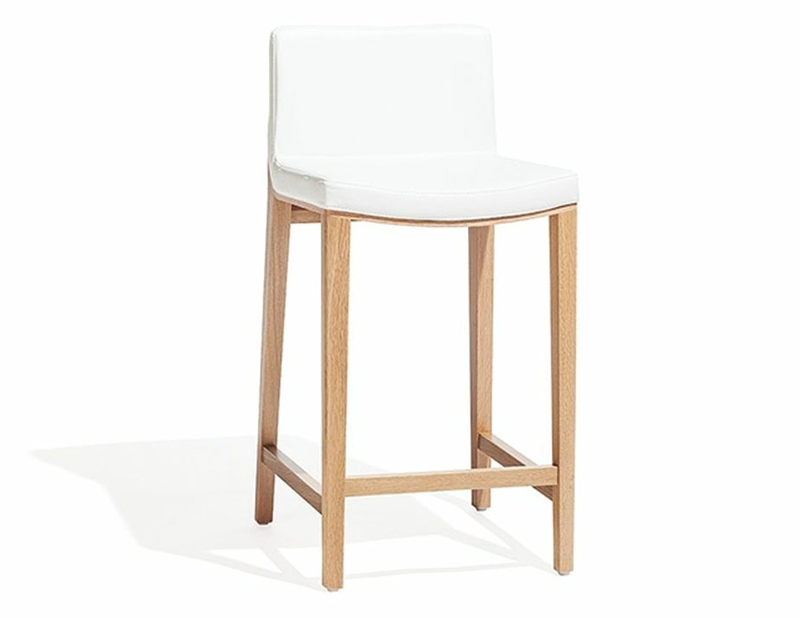 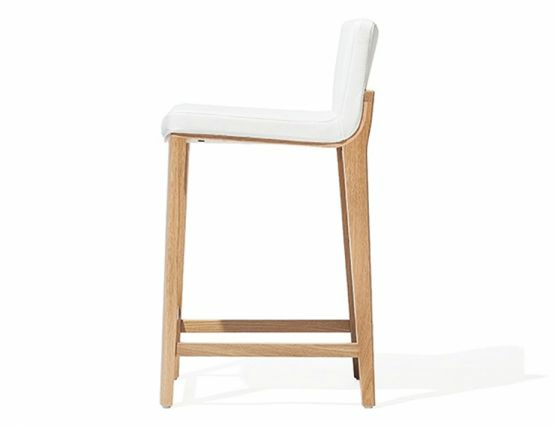 With precise stitching details, expertly constructed upholstery and natural oak, this designer bar stool is a must have for your modern space. 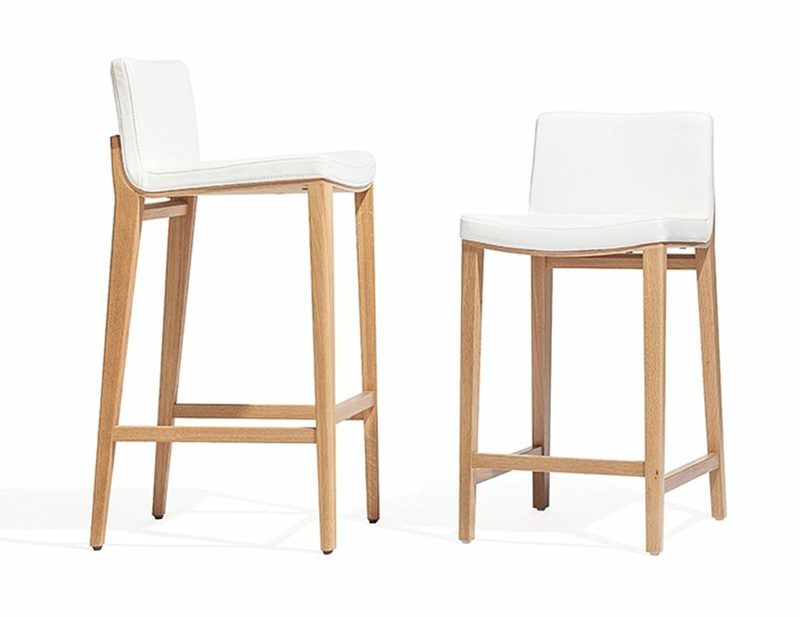 Give your kitchen an instant update with these refined bar stools. Use the stools alone or for a more cohesive look, pair the stools and chairs in the same collection.